Dynamic Choices > Blog > Autoimmune Disease > Diet and MS – Does It Make a Difference? Diet and MS – Does It Make a Difference? DIET AND MULTPLE SCLEROSIS – DOES WHAT I EAT REALLY MAKE A DIFFERENCE? Sifting through all the information on the Internet about diet and MS can be a confusing exercise! No matter what people promise, you are a unique individual and the best diet for you is the one that you can follow and the one that makes the biggest difference in your specific symptoms. I believe there is a food that is the long standing, underlying cause of the deteriorating digestive health that contributes to the development of MS and many other autoimmune diseases. Identification of this food helps you make a specific change in YOUR diet that will help improve YOUR symptoms. Removal of this single food can dramatically improve your health and avoid the necessity of removing many additional foods from your diet. 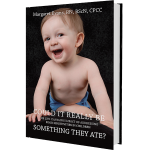 At the end of this article, there will be a link that will enable you to download my workbook style handout to help you identify what food might be contributing to your symptoms. Rather than write a long article with a lot of facts and confusing statistics, I decided to share the story of an imaginary person to demonstrate how symptoms that begin in infancy can morph and change over time and ultimately end up as an autoimmune disease. This story is made up of a compellation of some of the many clients I have seen in the last 30 years and any similarity to a specific person is purely co-incidental. Suzanne is a young woman aged 28 who has just been diagnosed with MS. Her symptoms began with some double vision and a change in her balance and she is now facing what seems like an uncertain and frightening future. Suzanne’s story began before she was even born. Her grandmother had MS and she has an aunt with Parkinson’s disease and a brother with ulcerative colitis. Because her family has a number of people with various autoimmune diseases, it is very likely that Suzanne inherited the predisposition, herself. Suzanne was breast-fed as a baby but she also received supplementary cow’s milk infant formula. From birth, Suzanne was a fussy, irritable baby who had frequent green stools. At 6 months when she began to eat solid food, her colic seemed to disappear but was replaced by eczema and very red ears. She wasn’t fond of eating solid food and would only eat fruits and vegetables if they were mixed with yogurt. Over the next few months she developed ear infections that required multiple antibiotics and woke up at least 6 times a night. Years later, Suzanne’s mom learned that the dairy products that Suzanne and many members of her family loved were the cause of the leaky gut and digestive inflammation creating her symptoms. The cells in Suzanne’s bowel wall were inflamed right from birth because of the infant formula and the dairy products in her mom’s diet while she nursed. Because 70% of our immune system is in our digestive tract, this leaky gut and inflammation resulted in a decrease in Suzanne’s ability to fight infection. Just as one symptom seemed to disappear, another one took its place and Suzanne seemed to get one illness after another. In elementary school, Suzanne began to complain of tummy aches, had difficulty paying attention and often seemed distracted and unable to follow instructions. Packing lunches for Suzanne was a challenge for her parents as she ate only cheese sandwiches and carrots with a dairy-based Ranch dressing as a dip. Even at home, her diet was becoming increasingly limited and she flatly refused to eat any vegetables and fruits except carrots, cucumber and apples. Her bedtime snack was always a bowl of cereal and her favourite dessert was ice cream. Her mom learned, years down the road, that an intolerance to dairy products can result in a severe craving for these foods. The undigested pieces of dairy in Suzanne’s diet that leak through her intestinal wall are similar in structure to heroin and morphine. When they leaked into her circulation and crossed into her brain, they resulted in intense cravings and symptoms such as difficulty focusing and staying on task. As Suzanne approached puberty, her ear infections improved when she had tubes placed in her ears and her tonsils out, but she was now plagued with acne and migraine headaches. She was very argumentative with her parents and very disorganized at school. Her tummy aches increased and she was eventually diagnosed with IBS. This created tremendous social stress for Suzanne as she was terrified of having an accident at school or when she was out with her friends. She began to skip school and preferred to stay home and watch TV. Her diet consisted almost entirely of dairy based junk food and she spent all her pocket money on milkshakes and pizza. She began to put on weight and her self-esteem plummeted. During a family holiday in Mexico, Suzanne came down with a severe, traveller’s diarrhea. She eventually went to the doctor and was given a large dose of antibiotics but, after 2 weeks, Suzanne’s diarrhea was only slightly better. She developed severe fatigue that no amount of sleep could help. She barely finished high school due to the crippling fatigue, her IBS, her migraines, and depression. Her parents learned, years later, that all the junk food and dairy based snacks that Suzanne was eating were further inflaming her digestive tract and altering the normal balance of bacteria in her bowel. The opiate like addiction increased her appetite for these foods and no amount of encouragement by the doctors or her parents could convince her to eat a healthier diet. The bowel infection she got in Mexico was the last straw and her immune system was now severely compromised. As Suzanne moved on into her twenties, got a job, and moved out of home with a few friends, her symptoms began to worsen again. She was now bothered by recurrent yeast infections and severe PMS. Her IBS worsened and she became home bound for fear of having an accident while she was out. Because of her health, Suzanne lost her job and had to move back home. This created a severe stress on her as well as her family and she began to notice some changes in her balance and in her vision. Her hands and feet were also numb and tingling. Her parents finally convinced her to go to the doctor who diagnosed Suzanne with MS.
Suzanne’s first reaction was disbelief and she then became fearful about what was ahead. She was referred to a nurse who specialized in diet and autoimmune disease and slowly began to learn what she could do for herself. She learned that she had the three components necessary for the development of an autoimmune disease – (1) an inherited predisposition for both an autoimmune illness and a food intolerance, (2) a severely leaking gut that had caused her immune system to be permanently on high alert and (3) a triggering incident such as a severe bowel infection or difficult life stress that caused her immune system to attack healthy tissues in her body. Giving up her favourite dairy based foods was difficult for Suzanne as her cravings were very strong. She was, however, highly motivated to make the change as her symptoms were severely impacting her quality of life. Her leaky gut improved significantly and she no longer had to worry about having diarrhea when she was out with her friends. In addition, many members of Suzanne’s family changed their diet as they, also, had a pattern of craving dairy products that produced symptoms. Suzanne’s MS symptoms improved and her fatigue, in particular, was better. She learned that the protein structure of dairy products was similar to the protein structure of the myelin around her nerves and that her overactive and out of control immune system was unable to differentiate between the two. She was very hopeful that removing the dairy products from her diet would help to heal her leaky gut. She slowly added some dairy-free probiotics to regain a healthy bacterial balance in her digestive tract and did her best to eat a wide variety of healthy foods. Now that her brain fog had improved, her mobility was easier and her energy level had improved, she felt empowered and hopeful about her future. If this story reminds you of your own, you are not alone. 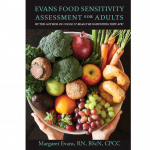 If you would like to explore the idea that your symptoms are related to something in your diet and identify the offending trigger food, please download my new Evans Food Sensitivity Assessment Tool from this website. It will lead you through the process of identifying if something in your diet may be contributing to your symptoms and help you figure out what food it might be.